Microwave is your emergency and convenient kitchen appliance, which when faulty can bring kitchen work to a standstill. 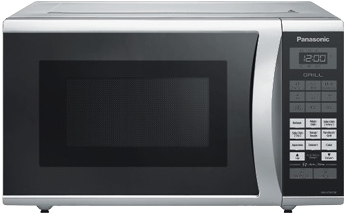 At Dial and Search we understand your issues and thus offer the best microwave repair solutions in town. We repair your Panasonic Microwave and make it as good as new. Panasonic is a leading brand in both Indian and International markets. However, with constant use, its microwave may start having issues. Generally most users have power and touch panel related glitches with the Panasonic microwave. We at Dial and Search perfectly analyze your problem and provide the best solutions at economical rates. Simply get in touch with us for the best Panasonic microwave service in town. Panasonic Microwave Service Centre – Why choose us? Providing microwave repair solutions is our forte. We ensure that our solutions are both comprehensive and viable. On top of that, our customer support cell is also very popular for the service they impart. We listen to your problems, have a quick check of the issues and finally provide you a complete insight on the problem and the rates it might take to get it fixed. We have no hidden charges and always give you a complete estimate of the impending costs. Thus, choosing our Panasonic microwave service centre will provide you viable benefits and persistent perfection in the services. Your microwave can have any big or small issue. Our experts check these issues and provide the right solutions for the glitches your device has. We ensure that you are perfectly satisfied with our services and thus give you no scopes for complaints. Following are some of the common issues that we cater to. Very often, your microwave is completely dead, goes dead intermittently or goes dead due to overheating. At such situations, our experts check the mechanical bind and the terminal connection of your device. They fix the loose ends and ensure that your device works perfectly. In case your device has low heat or intermittent heat, our experts check the magnetron and ensure that it is working well. It might happen that your magnetron is aging, has a cracked magnet or burned dome. In all of these cases, our experts initially try to fix the magnetron and if it is not possible they get it replaced with a new part. The new magnetron is thoroughly checked and it provides consistent performance on the go. If your device cooks only at full power or starts cooking by it-self, it is pretty likely to have a defective triac. In such cases, the triac is checked and if necessary replaced by our experts. The Panasonic microwave parts that we replace are branded and are in the best conditions. So there are no chances of glitches from the parts we use. We also provide you these parts at the most economical rates. Thus, no matter whatever problem your microwave has, simply contact us for getting it fixed in a jiffy. We provide quick and easy solutions and ensure that our services perfectly fit your requirements. At Panasonic microwave repair center we cater to all your Panasonic models (unless it is obsolete). Be it a new or old model, our repair experts have a solution for all of it. They incorporate high end techniques to ensure efficiency in your device. Simply contact our customer care centre, tell us about your problem and we will soon send our experts for checking your device. So as you see, we are just a phone call away. Thus, consult us for quick and easy repairs at unbelievably affordable rates.